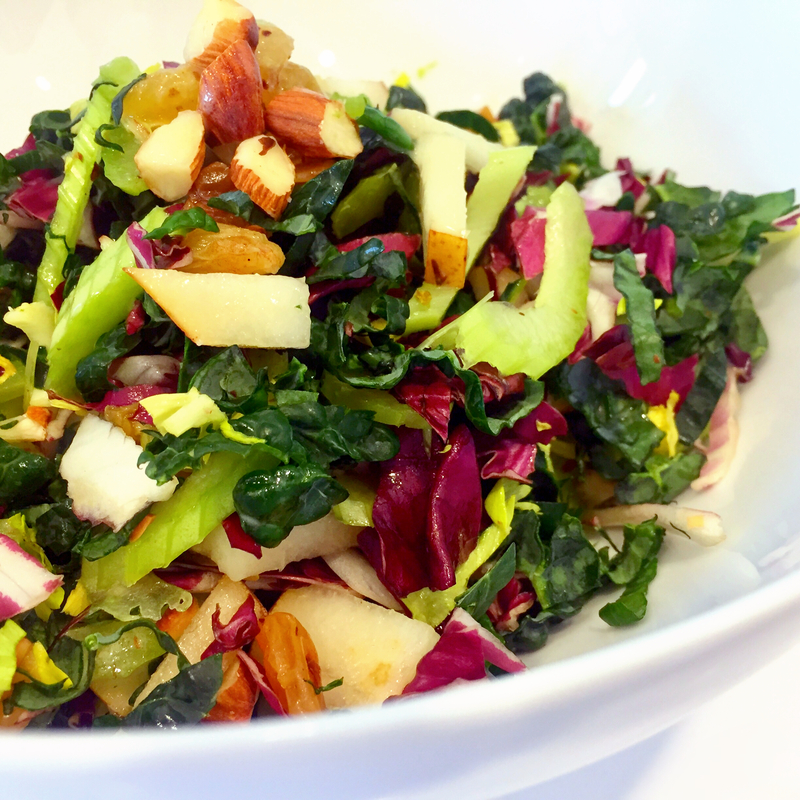 Love Chopped Kale Salad? 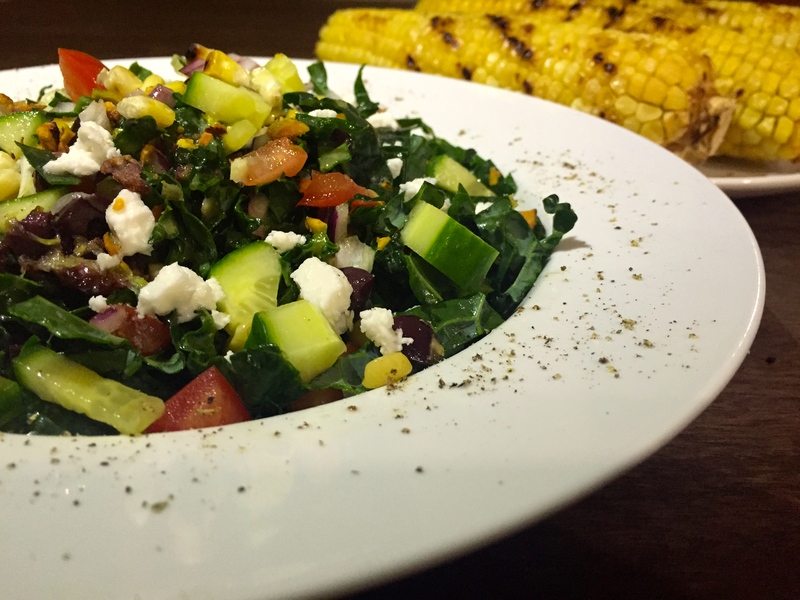 Try our Mexi-KALE Salad! Delicate ribbons of kale, sweet roasted squash, crunchy radishes, broccoli slaw + pumpkin seeds (pepitas), vegan cotija cheese, + black beans tossed in a creamy Avocado Chipotle Ranch Dressing! A vegan meal that truly delivers muscle-building protein without the fat bomb! 26g protein, 25g fiber, only 11g fat! You want pizza? Watching your calories, fat and sodium? Me too! 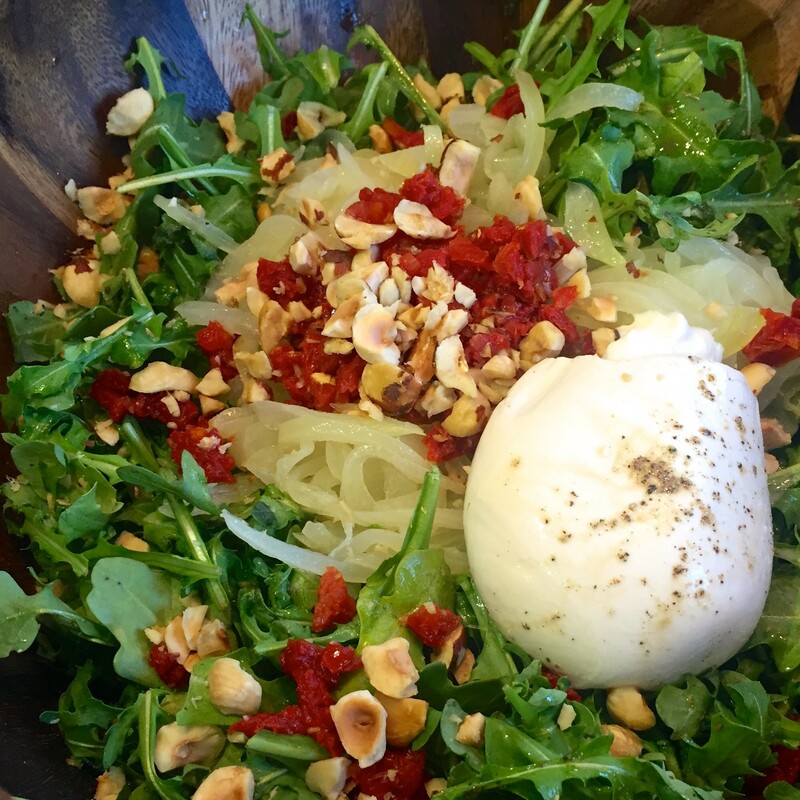 Enjoy classic Italian flavors of Pitfire Pizza’s Burrata Pie – tomato sauce, pesto, caramelized onions, hazelnuts and yeah, delicious creamy burrata mozzarella cheese in this exquisite salad. Cut 537 calories, 35g fat, 58g carbs and 90% of the sodium! Pair super quinoa with garbanzo beans to create a complete protein, essential for proper nutrition when eating vegan or vegetarian diet. Bell peppers, fresh tomatoes and herbs provide crisp texture and a myriad of satisfying flavors! 397 calories 18g protein 18g fiber 8g fat. 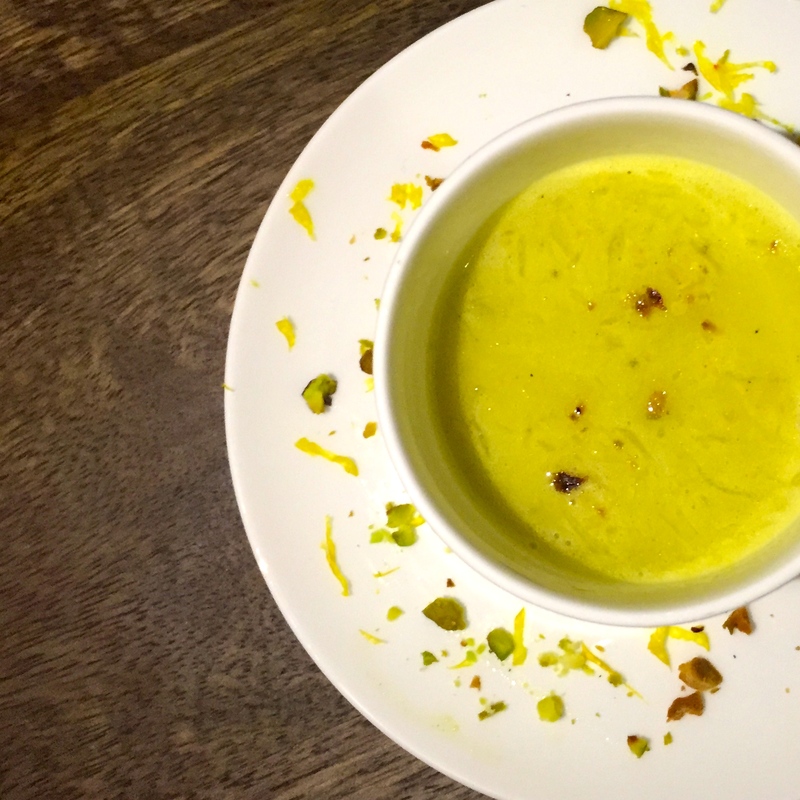 Virtually eliminate fat and amplify flavor with this tangy, zesty yet sweet Smoky Lemon Vinaigrette using roasted pistachio oil! 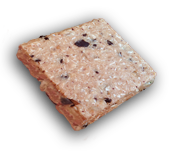 As always, recipe is low fat, gluten free, sugar free (sweetened with stevia), and surprise, this one’s 100% salt free! 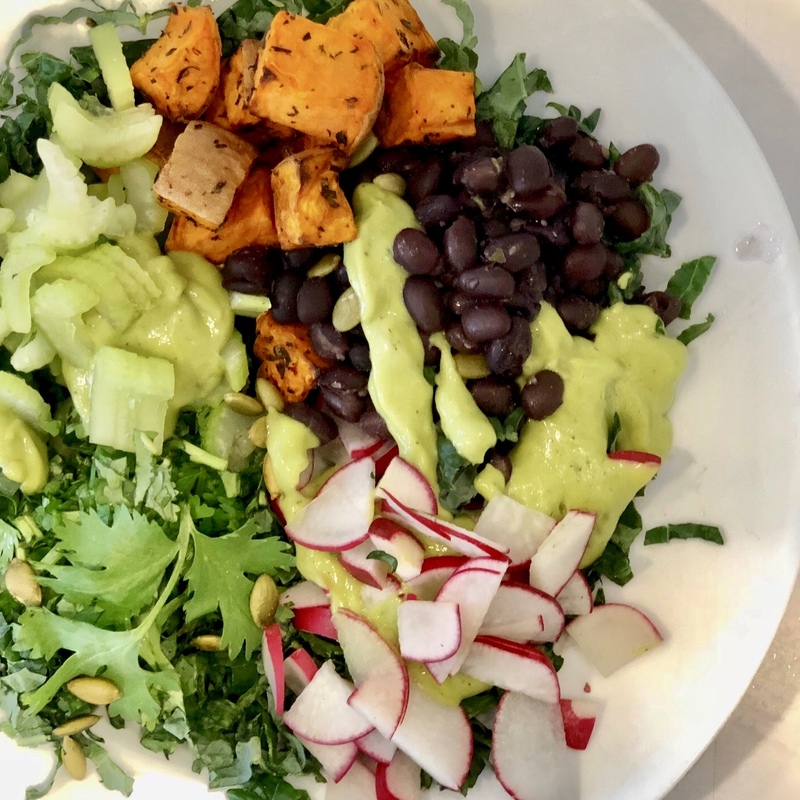 A perfect-LY nutritious salad starring warm sweet corn amidst delicate ribbons of kale, cucumbers, tomatoes, kalamata olives, creamy feta or avocado and tossed in a delicious smoky sweet tangy Lemon Pistachio Vinaigrette. 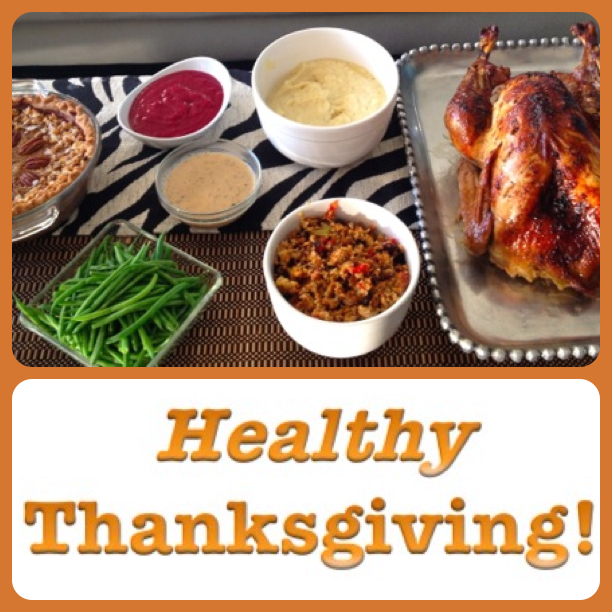 Avoid post Thanksgiving meal guilt or carb coma. Instead, try these satisfying, flavorful delicious variations on your favorite dishes without unnecessary fat, carbs, sugar, sodium and calories of traditional recipes. 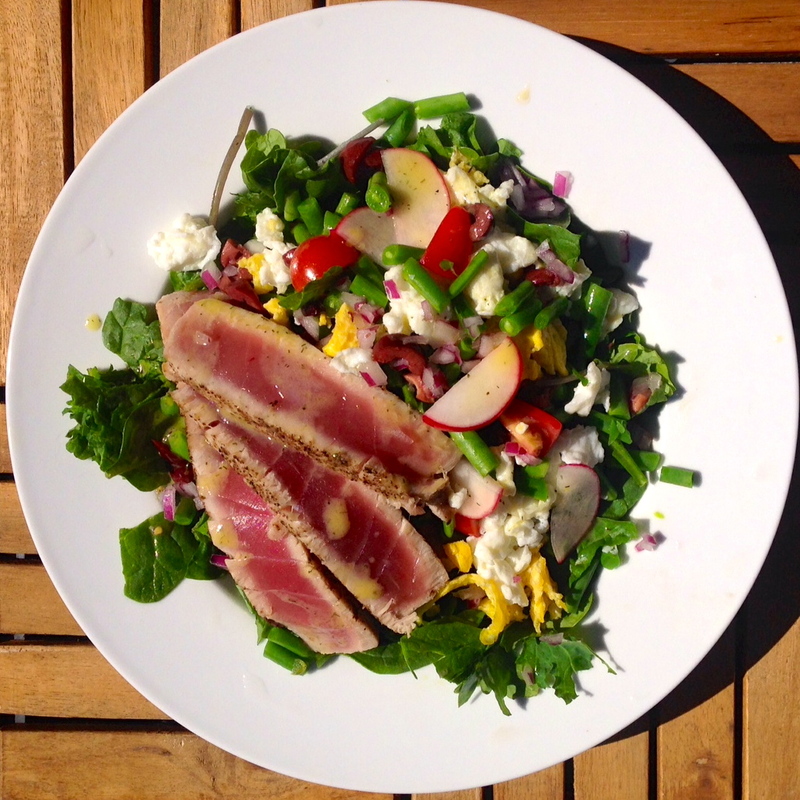 Sick of green salads? 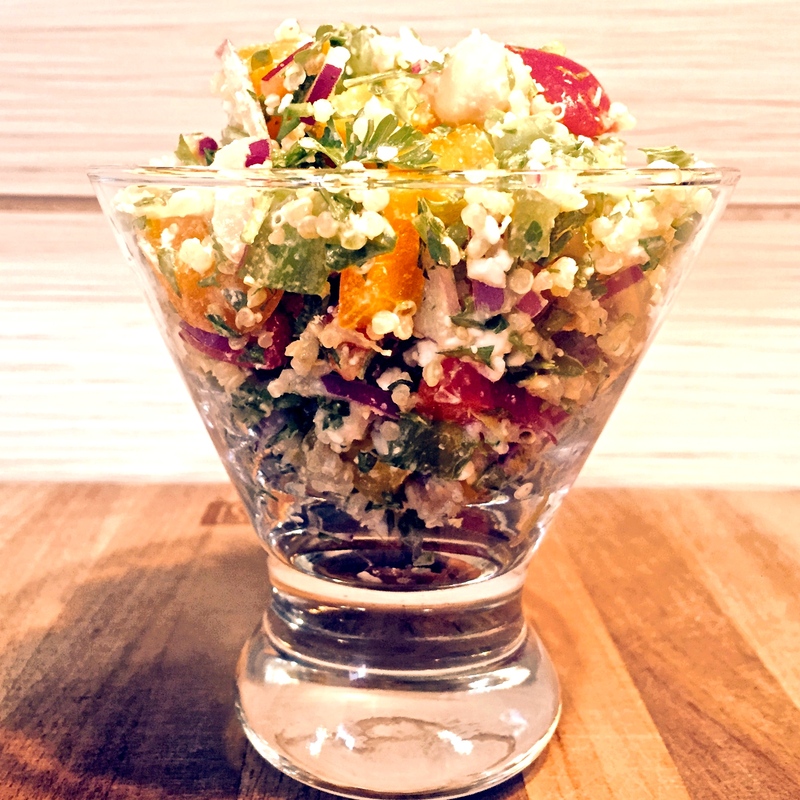 Enjoy a rainbow of delicious veggies thinly sliced and tossed in a delicate low fat lemon dill vinaigrette with high protein super grain quinoa in our Dilly Lemon Quinoa Veggie Salad. Watch the video! 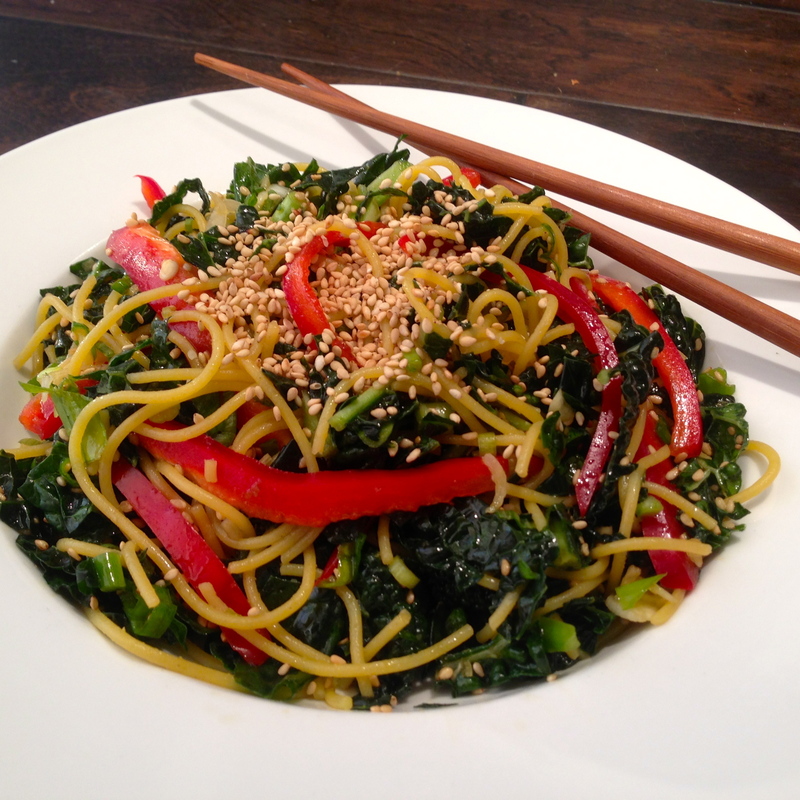 Sesame Kale Noodle Salad – Gluten Free! 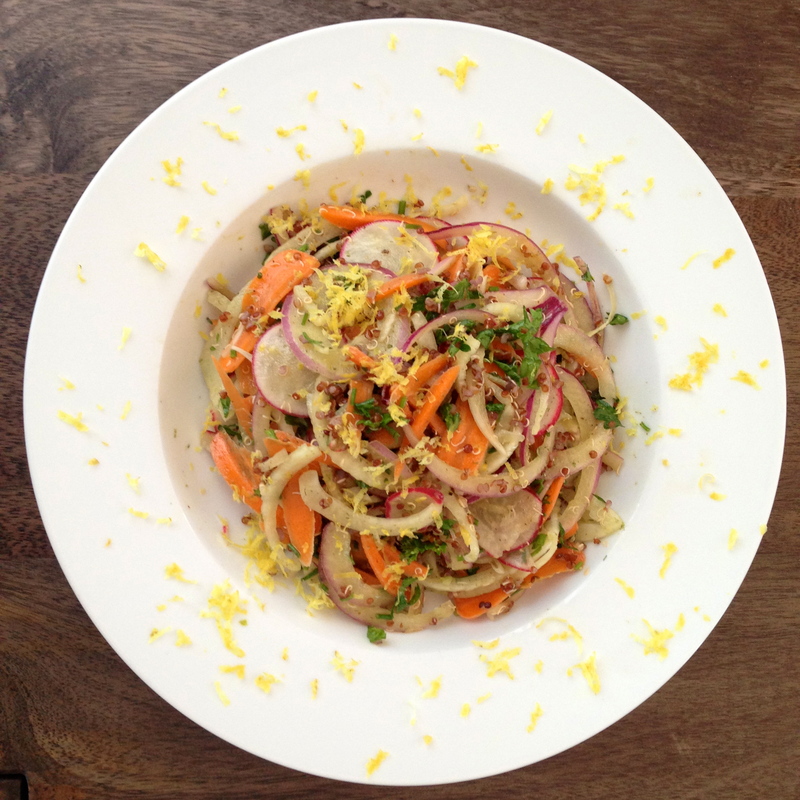 Outstanding upgrade to asian noodle salad. Low fat. Low carb. Gluten free. No refined sugar. Load up the big bowl with anti-inflammatory antioxidants, metabolism-motivating folate, energy-enhancing iron, and satiety-inducing fiber. So delicious, even kale haters respect this conversion effort. 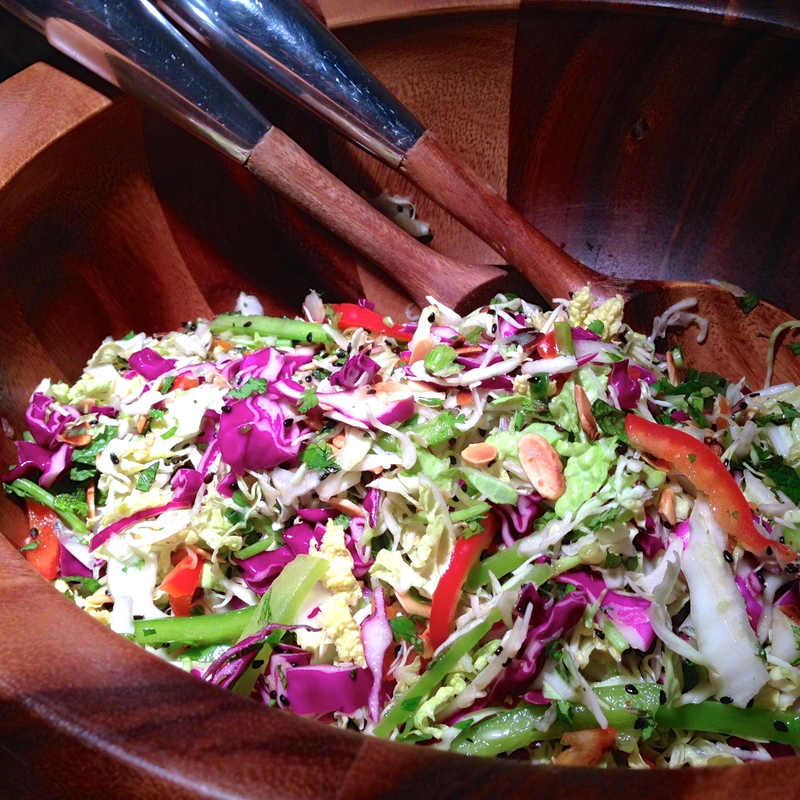 A delicious flavorful salad that will brighten any festive spread or BBQ! Inspired by my favorite asian flavors: peanut, sesame, cilantro, sriracha, lime and mint. 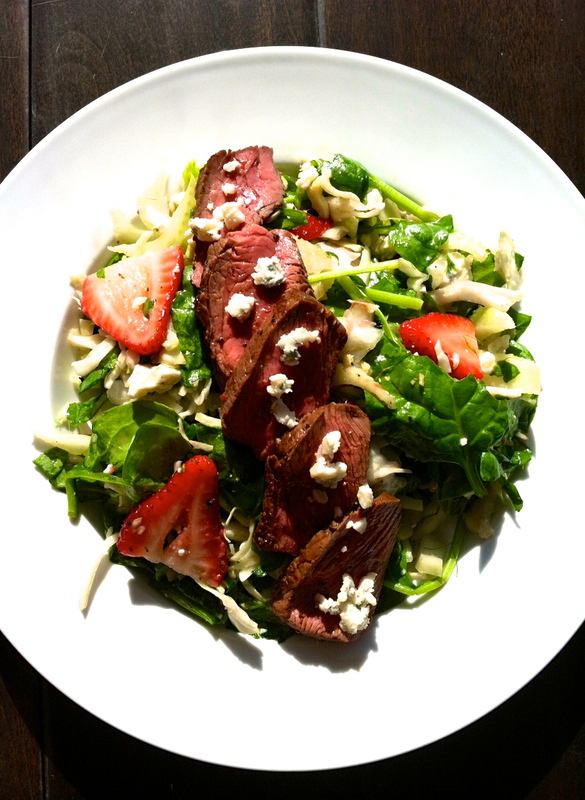 Enjoy this reduced fat and sugar, flavorful steak, strawberry and blue cheese salad anytime! 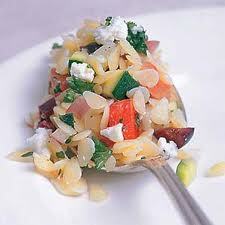 Try this flavor-packed pasta salad this summer for a satisfying chilled lunch poolside, on the beach or any BBQ. Replace traditional semolina pasta with quinoa pasta removes gluten. Increasing ratio of fresh vegetables – peppers, tomatoes, red onions and olives – to pasta amplifies vitamins and minerals while lowering carbs. Diced chicken and a little sheep milk feta provide a comprehensive protein boost and further reduce carbs in each serving. Serve over spinach or kale for added greens. There’s more to a Greek Salad than just Feta and Olives. 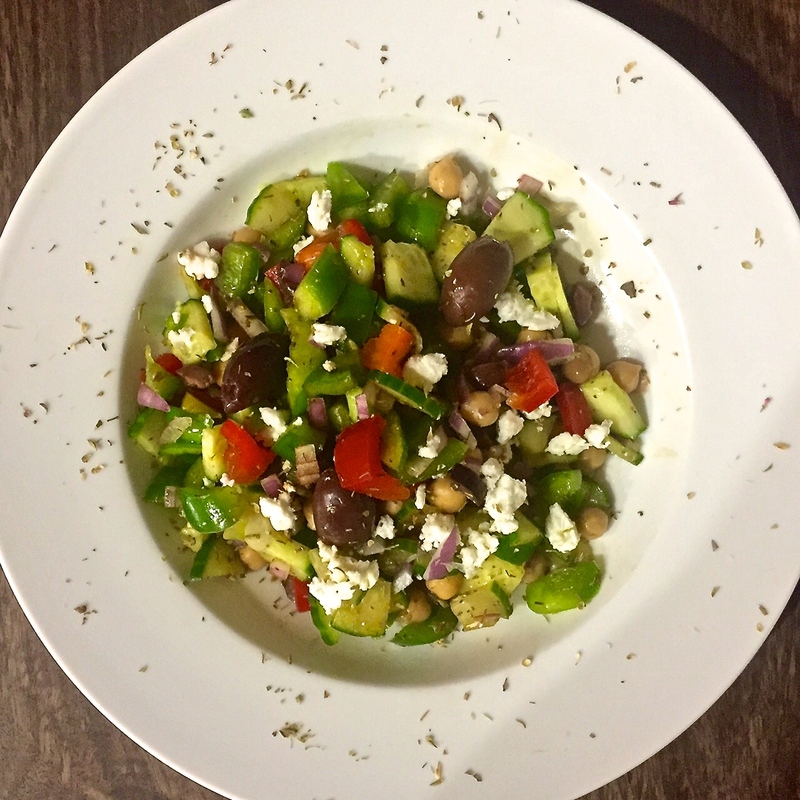 Check out this colorful, flavorful and protein-rich version of a traditional Greek Salad. Love Papaya Salad? 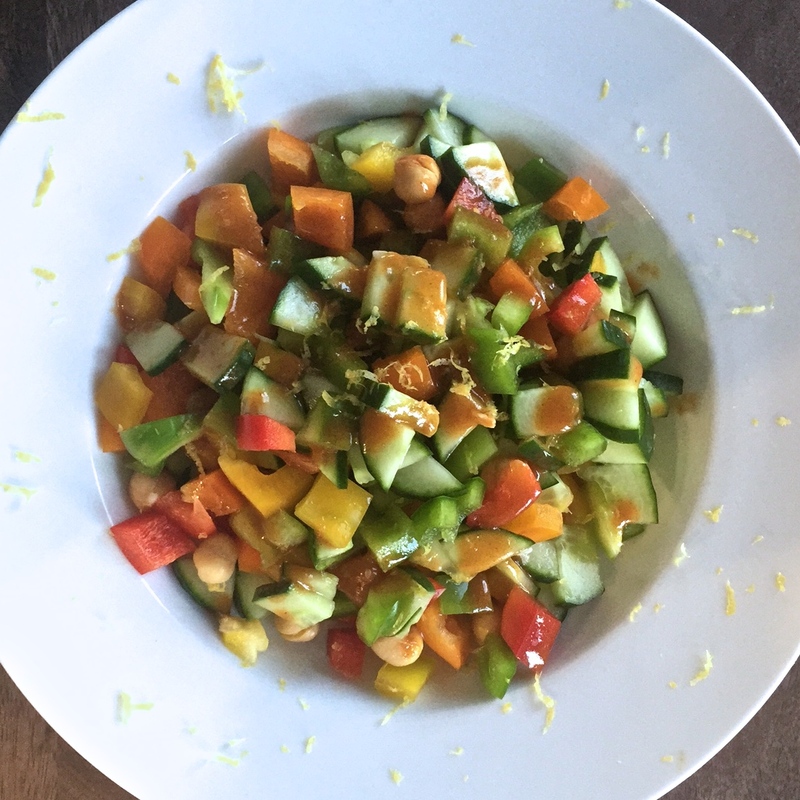 Try our Spicy Cucumber Salad. It’s loaded with nutritious veggies and protein. 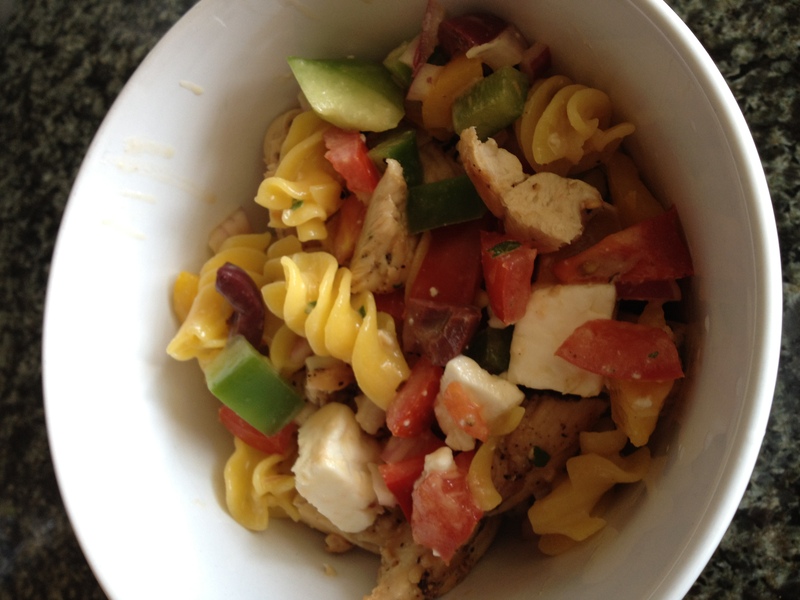 Delicious salty pasta salad is yours! More nutrition. No gluten! 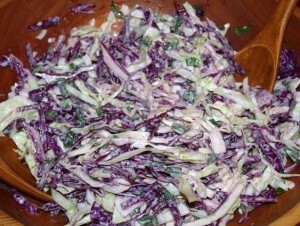 Trade Greek yogurt and broccoli slaw along with antioxidant-rich red cabbage, cilantro and a lil Tobasco for the full fat mayo, heavy salt, and the whitest of white cabbage of traditional Cole Slaw. You won’t miss them when enjoying this tasty and healthy side dish or taco topper. Make a sweet fruity Ambrosia Salad; cut fat using fat-free greek yogurt instead of mayonnaise and add crunchy intrigue and antioxidants with pomegranate seeds. This salad pairs well with most every meat or fish. It’s a salad. It’s healthy, right? Hold that deep fried, mayonnaise slathered salad tong a min. 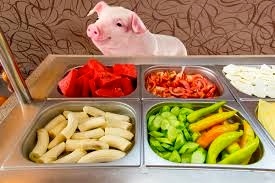 Let’s examine what foods to avoid, to control portion size of, and what to indulge on at the salad bar.